This page provides the script, slides and resource links for a presentation made at the ID Design Strategy 2012 Conference o0n May 9, 2012. The video of the presentation may be found here. The slides may be found here. The script for the presentation may be found here. The video of the presentation will be available after the conference is over. It has taken me forty years to understand that the exit strategy for a company is all about Valuation Capture. 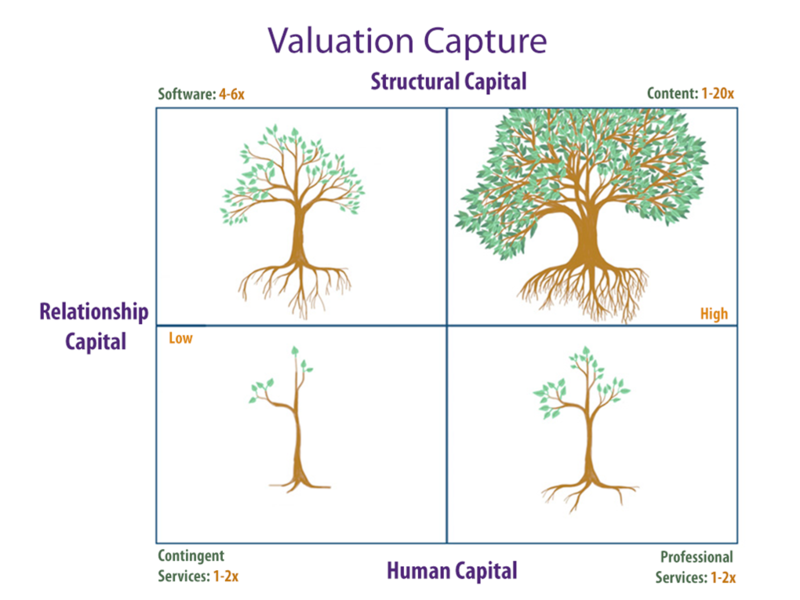 While revenues and profits are necessary for capturing value, the biggest contributor to valuation capture is placing yourself in a product space that has the highest valuation multiples of revenue. The blog post on “Making Intangible Assets Tangible” provides a rich set of resources for exploring the arena of Intellectual Capital. Immersion in these resources led to the insights captured in the Valuation Capture slide. It is one thing to position yourself strategically in the right place, and another to actually achieve the right valuation on exit. Basil Peters in his book Early Exits describes the checklist of things to do to capture the best valuation. I did not come across this book until a couple of years after we sold Attenex to FTI Consulting. We were the poster child for how not to exit as we proceeded to lose $35M in value from the initial offer to acquire the company to when we closed the acquisition. Michael Porter popularized the concept of Value Chain thinking and Value Chain analysis in his book Competitive Advantage: Creating and Sustaining Superior Performance. Yet this concept gets very little attention in business schools today. We found the value chain analysis for our own industry ecosystem to be the key to understanding how to make money and increase valuation. 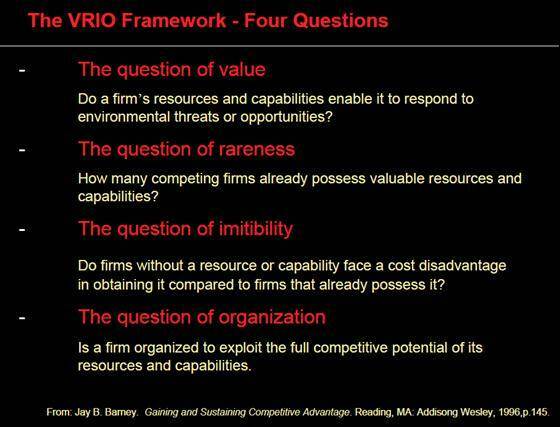 Jay Barney in his book What I Didn’t Learn in Business School: How Strategy Works in the Real World provides a practical application of the value chain through the addition of the VRIO framework. Using the Socratic Method, Barney provides a sequence of real world strategy consulting engagements that use VRIO analysis techniques. Since my first exposure to Eli Goldratt‘s Theory of Constraints (TOC) as popularized in his book The Goal, I’ve used TOC as the core representation of the work flows I encounter. The essence of TOC is that in any complex process there are only two or three process steps (bottlenecks or constraints) that matter. 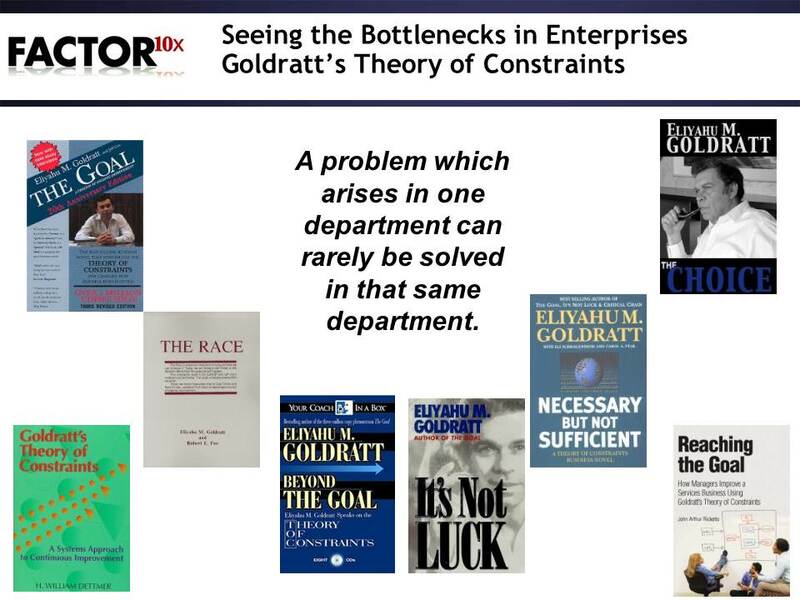 Unlike most consultants who recommend optimizing everything, Goldratt asserted that all you have to do is find and then regulate the bottlenecks. Over the last thirty years he’s written prolifically as he expanded his method from manufacturing to distribution to retail and to marketing and project management. While the TOC method works great for enterprise scale processes, it is too heavyweight and cumbersome for consumer applications. Adrian Slywotzky with his articulation of hassle maps provides a quick and insightful way to see what matters for consumers and identify those latent unmet needs. Slywotzky’s latest book Demand: Creating What People Love Before they Know They Want It provides a rich framework for generating demand. 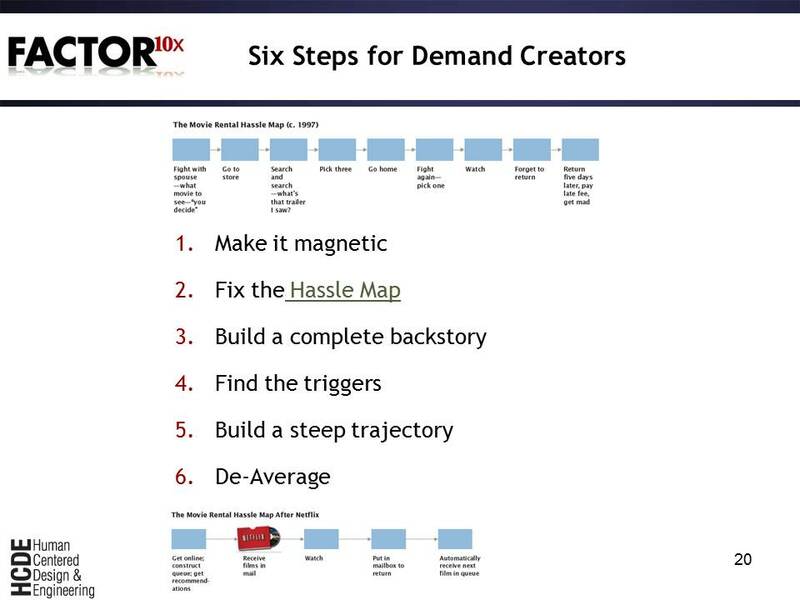 Slywotzky in a video lecture at the Rotman business school illustrates how even in today’s economy there are companies using this framework to generate 6 to 12 times more demand than the number two company in their market segment. 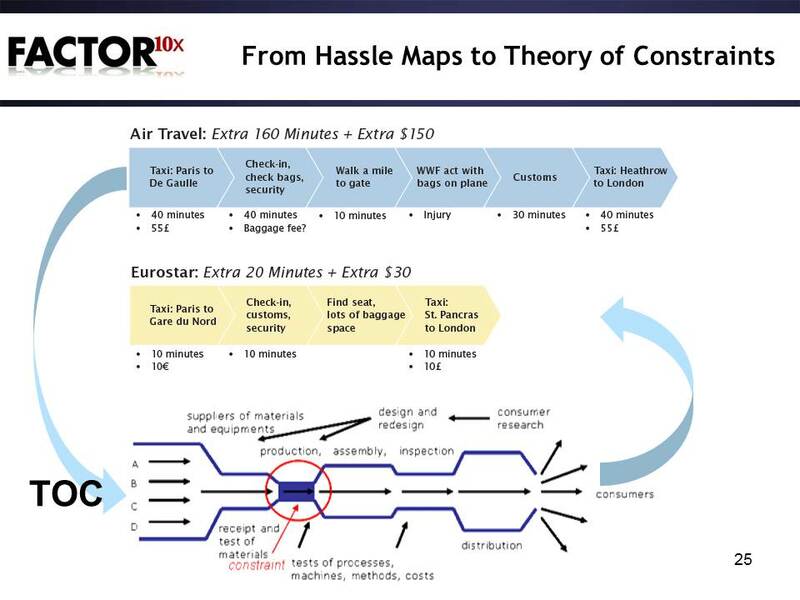 As I was using the Hassle Map framework on a recent consulting engagement, I realized that Hassle Maps and TOC analysis were mirror images of each other. 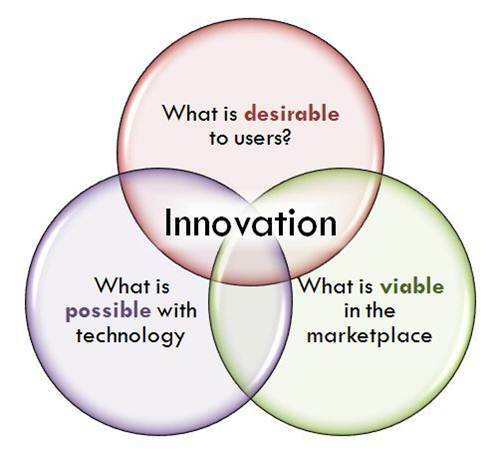 That is, once you identify the consumer’s hassle map and design a solution, the implementation of that solution needs to look at the internal company processes to deliver the solution. Hassle maps are the external mapping tool. TOC Maps are the internal process analysis tool. For an overview of hassle maps and the Theory of Constraints, the slides and video of a lecture to human centered design graduate students provide additional insights. As part of teaching Human Centered design at the University of Washington Human Centered Design and Engineering Department, I collect a rich set of articles and books to provide context to the students. Many of these resources can be found at the class website. The Institute of Design regularly publishes excellent research articles as well. It seemed obvious to me that when we based Attenex on Human Centered Design that we would also combine HCD with Agile Methods for product development. The prototyping methods of HCD go hand in glove with Agile Methods. Yet for some reason both developers and designers seem reluctant to implement the two methods together. For those unfamiliar with Agile Methods there is a wonderful video on “Being Agile is a Wonderful Thing.” Additional introductory information on agile can be found in a slide show presented to HCD undergraduates. The Agile Manifesto and The Agile Principles describe the philosophy of the methodology.